RobertEHoward is a Legacy Library. Legacy libraries are the personal libraries of famous readers, entered by LibraryThing members from the Legacy Libraries group. » Robert E. Howard's catalog. » Robert E. Howard's legacy profile. RobertEHoward is also an author. 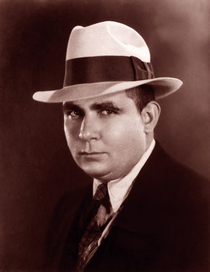 » See Robert E. Howard's author page. About meRobert E. Howard (1906-1936), better known as REH, was an American writers of adventure stories, penning more than a hundred such works in a career which lasted only about twelve years. Howard's most recognized creations include Conan the Cimmerian, Kull of Atlantis, Solomon Kane, Bran Mak Morn, ‘El Borak,’ and Sailor Steve Costigan. A more complete biography of REH is available here. About my libraryContains books listed on The Robert E. Howard Bookshelf. That site includes much more information about Howard's reading habits as well further data on the books listed here. Short stories and other non-monograph works mentioned in his correspondence and other writings are included there as well. Many of the books included in Howard's LT catalog are now housed at Howard Payne College.